During a routine exercise, Sonic and Co. are alerted to a disturbance on the Floating Island. There, Eggman and his badnik army are excavating for a lost Chaos Emerald of immense power. Sonic & Shadow combine forces once again to thwart Eggman's attempt to imprison the planet, but Eggman escapes with the emerald in tow. Unbeknown to them all, the future is about to change for the worse, once the power of the emerald re-awakens one of Mobius' oldest threats. A:DR is an action/adventure standalone PC game using Unreal Engine 3. The player assumes the role of Sonic the Hedgehog (and friends) to save planet Mobius from his nemesis Dr. Ivo 'Eggman' Robotnik and the nefarious Ashura. Experience Sonic Physics once more; run on walls, loops, corkscrews and on water! - This is a HUGE project and it WILL take a long time due to the amount of custom content needed and creative planning. - The team will NOT post answers to questions already made, check through the comment pages first. - Due to lack of dev support, the multiplayer modes are ON HOLD until further notice. 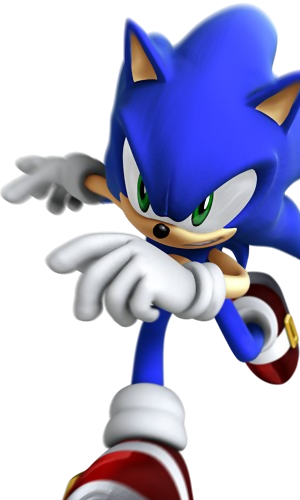 SEGA, the SEGA logo and Sonic the Hedgehog are either registered trademarks or trademarks of SEGA Corporation. © SEGA 1991-2014 All Rights Reserved. Ashura: Dark Reign and the A:DR Mod Team has NO affiliation with SEGA. ADR moves to Unreal Engine 4! For the longest time I have refused to move to UE4 as I deemed it just a visual update with some better capabilities. But my hand was forced when a rapid prototype was made by ADR's own Lead Musician Tim.N and his buddy Mikael. To further ADR's integration with the new engine, the project has since gathered the talents of the awesome folks behind the Hedgehog Dev Kit and utilising the vast supply of additional help through the Unreal marketplace. I myself now have weekends to work on the game. So what's built into this new version? Still looking for 3d modellers and level designers. If you have experience in UE4 visual scripting, get in touch if you wish to contribute. More news as new things are implemented! A brief Discussion on SuperSonic, its creation and design process. The June-November progress video (2006; teaser trailer). Video of mod progress from March 2006 to June 2006. You are still alive, guys? By the time this is released it will be a Unreal Engine 7 game. Wow I remember following this when it was a UT2k4 mod. I'm glad to see you guys are still kicking. Keep up the good work! Project really needs 3d modelers more than anything at the moment. Music is last on the agenda during the current production phase. It's amazing how long you've been working on this! This project looks very interesting and I love it's darker take on the Sonic universe. I can understand your thoughts on it being abandonded due to my lack of posts over the past year. Checked out your work over on deviantart. I've sent you an email. Could you make it in Unreal Engine 4?